This is not a GTi6 but as it was imported from Germany many many years ago, it is a S16. 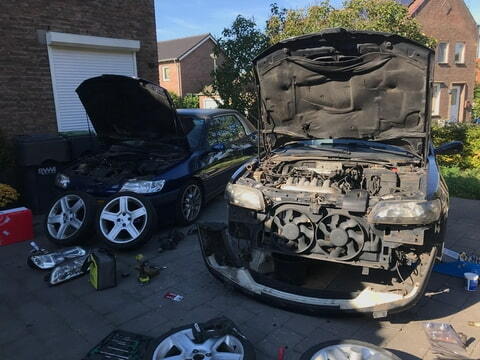 Not in the best shape on the outside, but for me what is under the bonnet was more important: a RFS engine with service history of 11 years! 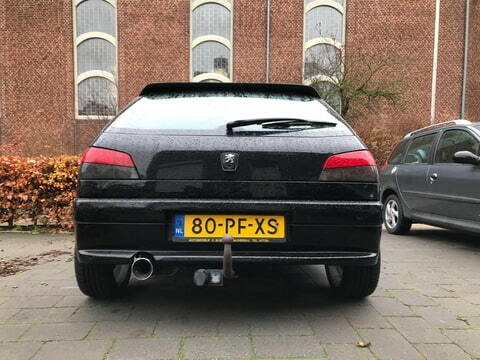 I was only allowed to buy it if it would not be another project as I already have a few projects ongoing: '96 XSi with a RFS engine fitted, and '98 phase 2 GTi6 which in restoration. 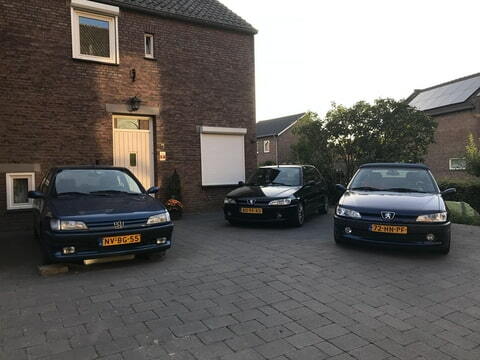 Besides these projects I also own a 306 convertible and my girlfriend has a 206 Griffe SW. And last but not least, together with a friend I am building a 405 "Pikes Peak". 3 - It does not need any technical adjustments and repairs to be driven (hence "no project"). 5 - Strange vibration when taking left corner on highway (highway exit) on front. Any suggestions what this might be caused by? 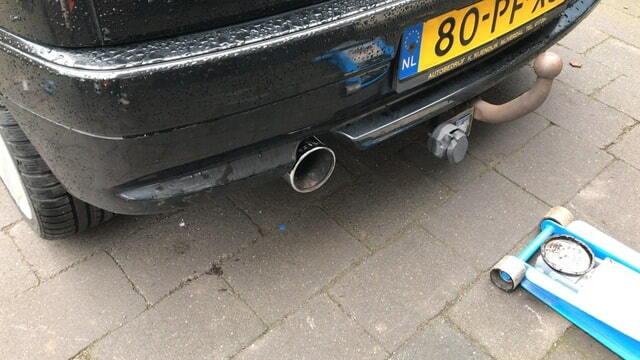 7 - New exhaust or a better fitting of current one. 8 - New brake discs and pad front and back. As the convertible will not be used in winter, I swapped the wheels. The 16" Dezent rims are perfect to put the car on during winter. A proper 306 enthusiast. Well done on throwing away those rear lights! Looks a decent car. Did you ever get the GTI6 released over there? I was travelling around your country earlier this year in my campervan, we came to see the MotoGP at AssenTT track, it was awesome. 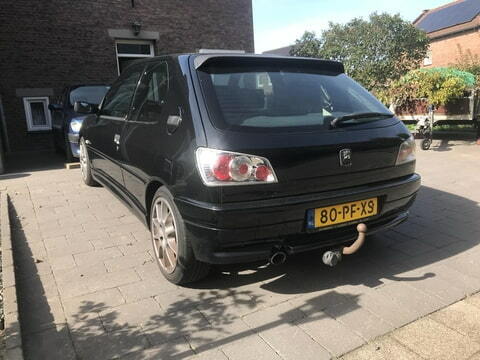 Yeah, the GTI6 was released in the Netherlands as well. My diablo red GTI6 is a genuine Dutch GTI6. The Rallye was never released in the Netherlands, unfortunately. With that steering issue I had similar a while ago. They come with 16 or 18mm hubs. Turned out a garage fitted a 16mm ball joint into my 18mm hub and over tightened it. Turning right I had bad vibrations and at speed it was uncontrollable. I was not impressed, as it was quite dangerous. They didn’t know what it was. Never went back that garage again! I already ordered new brakes as the ones on the back are almost gone. Okay. Today, I checked the suspension, wheel bearing, and driveshaft. And while I was at it I changed the brake discs and pads. Unfortunately, the revision kit was not locally available so I have to wait until this Monday. 11 - Fitting radio currently in convertible (OEM will be fitted in convertible). Brakes are now okay again. Hopefully, the vibrations are now gone. Also replaced rear brakes while I was at it. Changed them to the BOSCH Super4 FR 78 X. 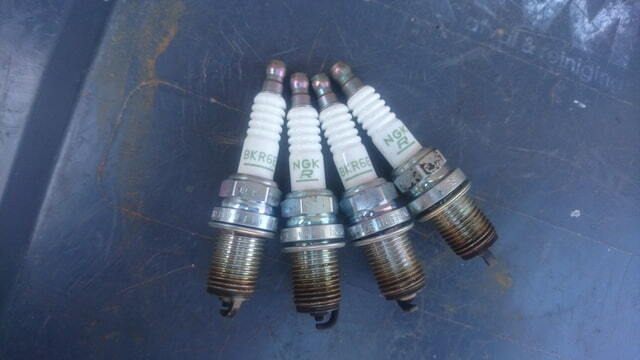 Kept the NGK as one of my friends told me: "who knows how long your car has been running on the NGK?" Wasn't this car supposed to be getting minimal attention?! Seems like you can't help yourself! Seriously, it's always great to see a fellow enthusiast giving these the full attention they deserve. Thanks for all the updates. - new bonnet (already reserved for me). 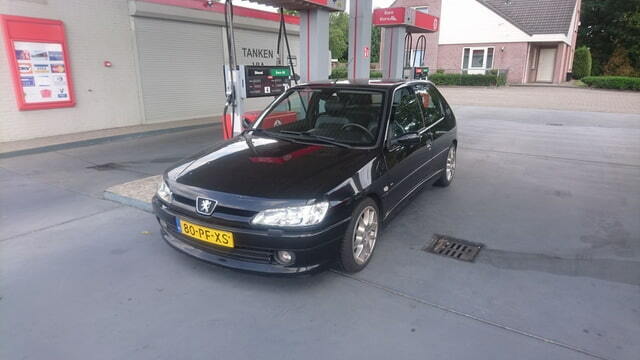 The 306 was always my dream car ever since I saw the phase 1 XSi in Sigma Blue in a brochure. Oh. And I really need to come to the UK once! 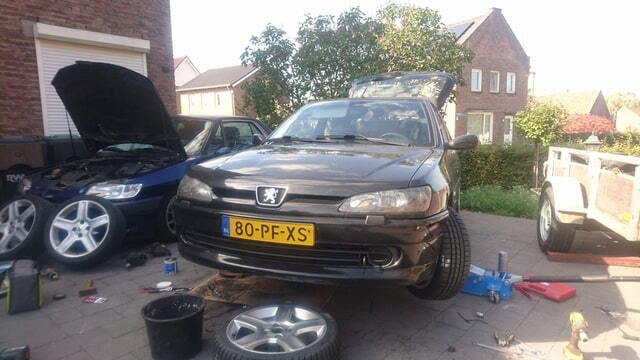 The 306 community is much more active and you guys have the coolest upgrades. Some of my friends and co-306-enthousiasts are also buying parts from the UK (super chargers, exhausts, upgrades to suspension, and so on). (27-11-2018, 07:56 AM)Joep83 Wrote: Oh. And I really need to come to the UK once! Firstly, it's good to know we've still got friends in mainland Europe! 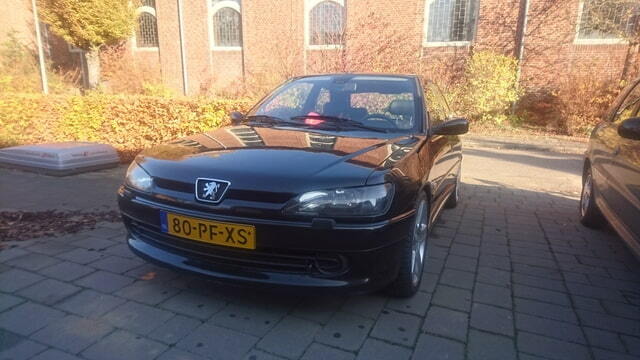 Secondly, everyone says Pugfest is the event to attend if you want to connect with the Peugeot / 306 community. It's usually at the end of June / start of July. 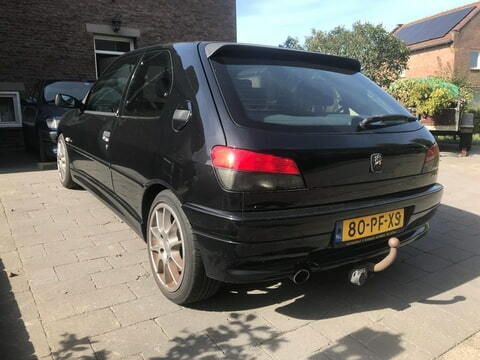 I have yet to go but it sounds great - if I can finally get one of my 306's looking half decent then 2019 might be the year! Today I attended a dyno run meeting. Was surprised by the results: 170bhp and 200nm torque! Seems like you really did get a good one. Assume it hadn't had a rebuild or been tweaked? I get the impression that if looked after the XU10 engines don't wear much. As far as I know, the engine was not tweaked / tuned. We had multiple RFS engines on the dyno, mine was best but also the others were still in very good shape. All of them had more than 200k km on the clock. wiper issue cold be the motor tracks inside. does it fail to self-park, or run on low or high speeds? I have a spare wipermotor that I can try. bear in mind, the "switch" is actually a track and sprung-loaded wipe contact inside the motor. Thanks! First I am going to replace the stalk. Guess that is the easiest to check. After that I replace the wiper motor for the spare one I have and I can have a close look at the faulty one. As for the wiper issue: I am going to replace the wiper motor after consultation with the Dutch RFS whisperer. He has seen so many GTi6's that he right-a-way new what the issue was. The old wiper motor I will try to repair. Changed the wiper motor today and all is working well now. Also fitted the headlight adjustment motors again. First time they were not "grabbing" the armature and were pushing the lights down. Leather interior and arm rest have been fitted last week.